Native Americans first entered the Hocking Valley and the Athens area about 10,000 years ago. There is direct archaeological evidence for their presence in the vicinity of the Dairy Barn about 2,500 years ago. There are several burial mounds (Daines Mounds and the Ohio University Mound) on the ridge overlooking the Dairy Barn. These were built approximately 2,500 years ago and are called Adena Mounds. Based on the settlement patterns throughout the Hocking Valley during this time period, in the vicinity of these mounds would also have been small villages of about 12-15 people. These populations were based on wild food gathering, some local crops, collectively known as the Eastern Agricultural Complex and hunting grounds. There is also evidence of larger villages at a later time along the Hocking River in the vicinity of the Dairy Barn. These would have been occupied around 1,000 years ago. Unlike the earlier Adena villages, these would have been larger (30-50 people) and embraced an agricultural base that would have included maize. 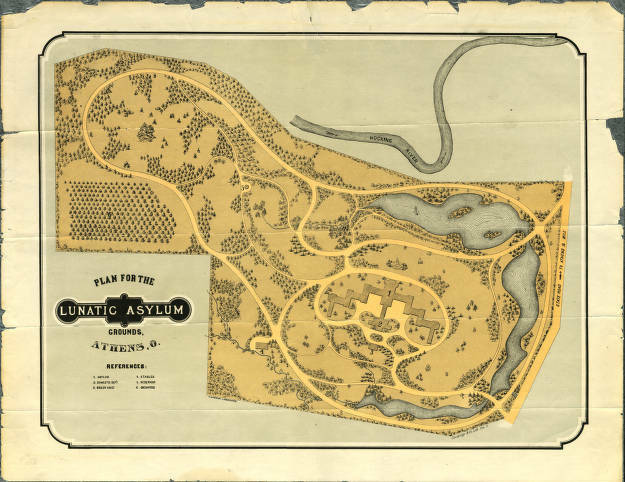 The Athens Asylum for the Insane, later the Athens State Hospital, was provided for by state legislation of April 13, 1867. The hospital opened in 1874. 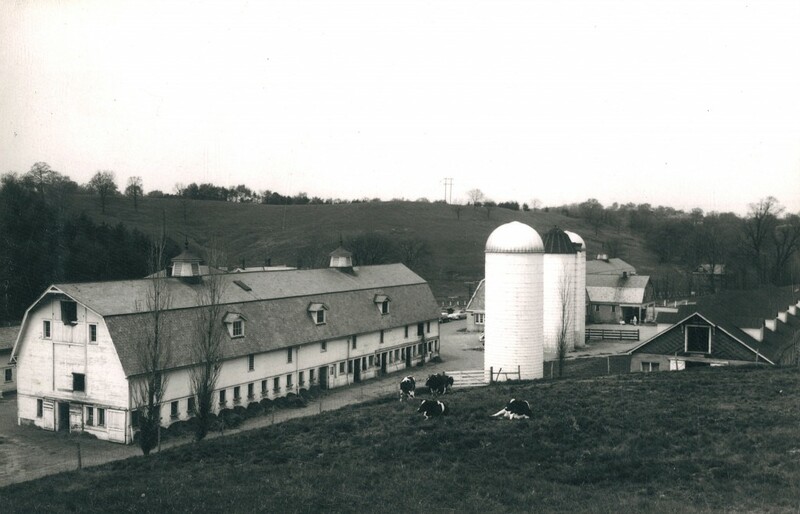 The land around the hospital cow barn and the “fashionable” residence, later used as the herdsman’s house, was the original property of Lt. James Bower, a Civil War veteran, born near Pittsburgh. 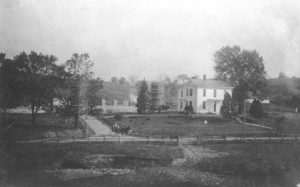 In 1855, Bower came to Athens County to work as a blacksmith. 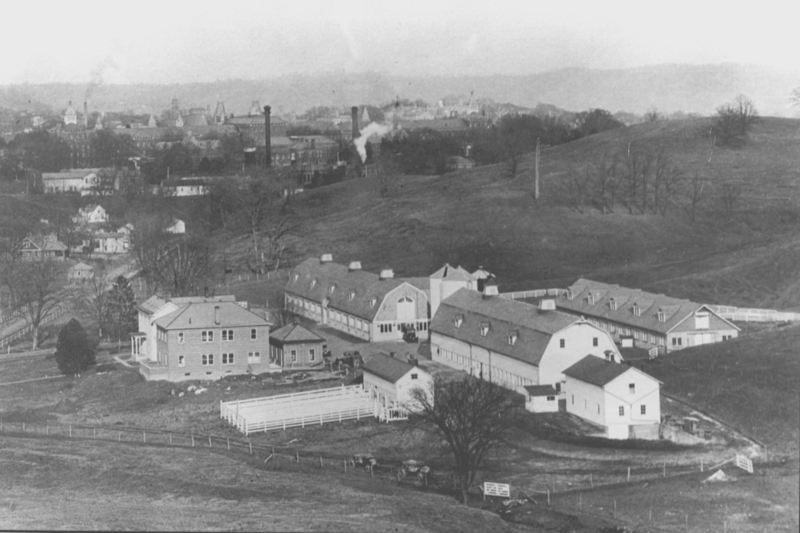 In 1877, he established a dairy and secured the contract for supplying milk to the State Hospital. 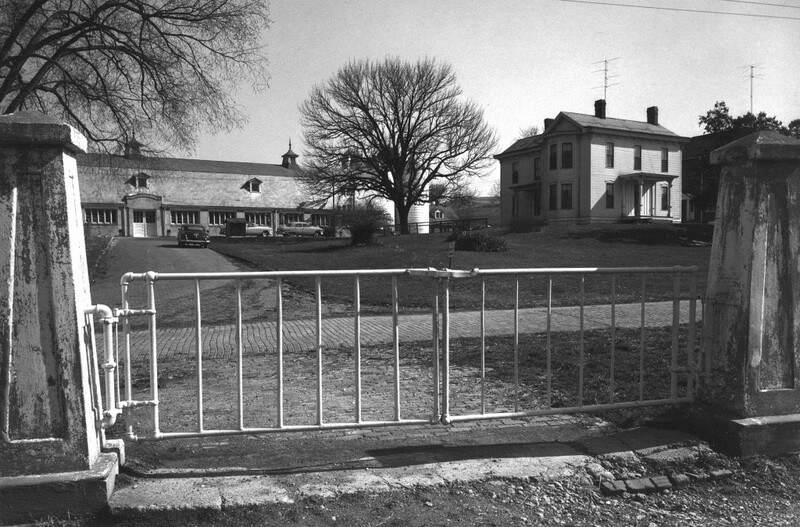 In 1912, the hospital purchased the Bower farm and residence. 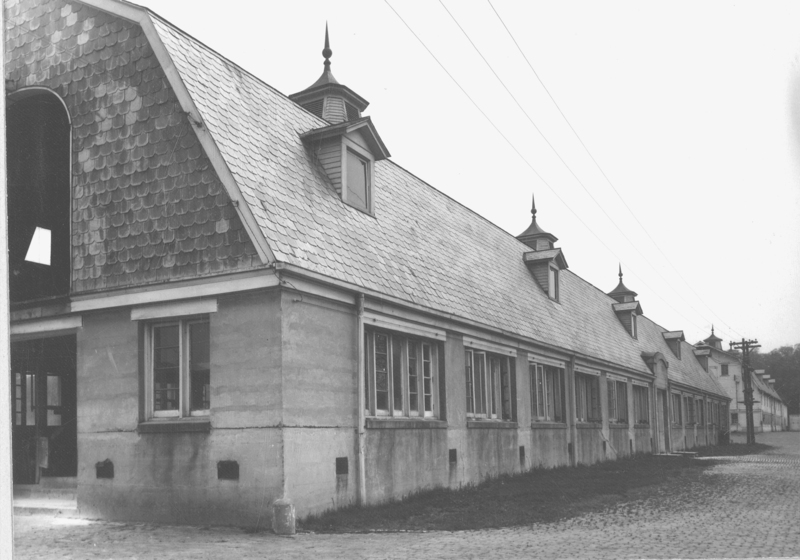 The present cow barn of Georgian Revival architectural influence was completed in 1914 at a cost of $10,000. Mr. Harry Jones, a graduate of the Ohio State University, was hired as the first herdsman to oversee an eighty-cow herd. 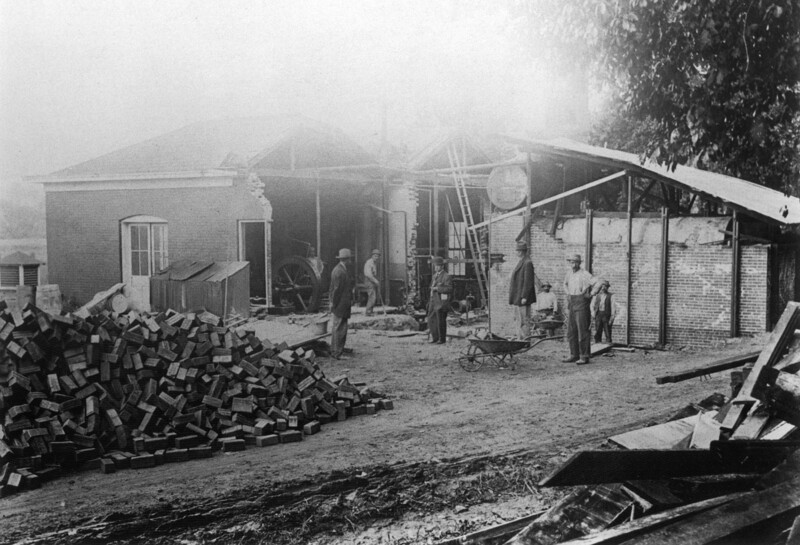 Jones instituted production records and began to develop a purebred herd. 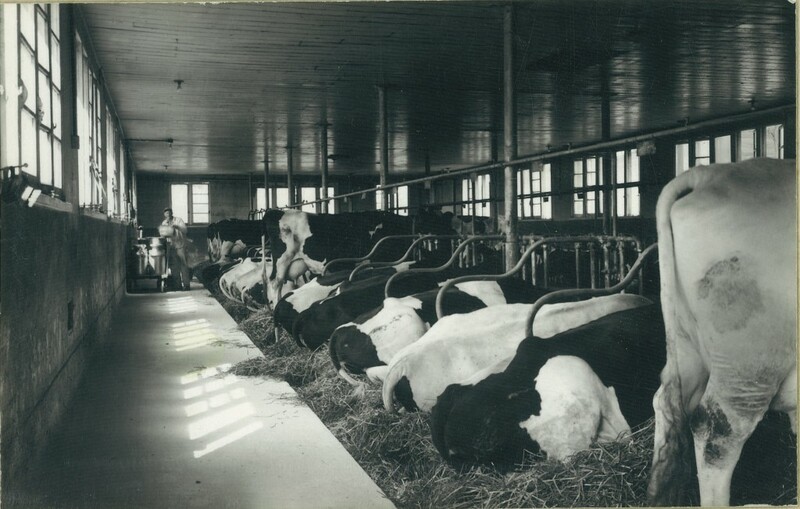 In 1918, Mr. Homer Gall, Sr., also a graduate of the Ohio State University, became the dairy herdsman. Under the leadership of Mr. Gall, the dairy farm became an innovative showplace of Ohio animal husbandry. 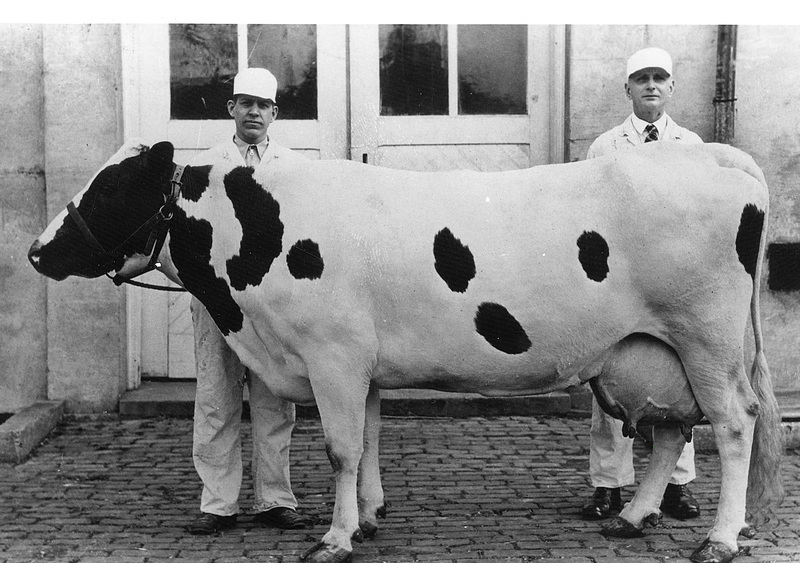 Herd improvement efforts through selective breeding produced world champion cows such as Athen’s Lotta Faye Korndyke, record producer of 31,501 pounds of milk in 365 days in 1931. 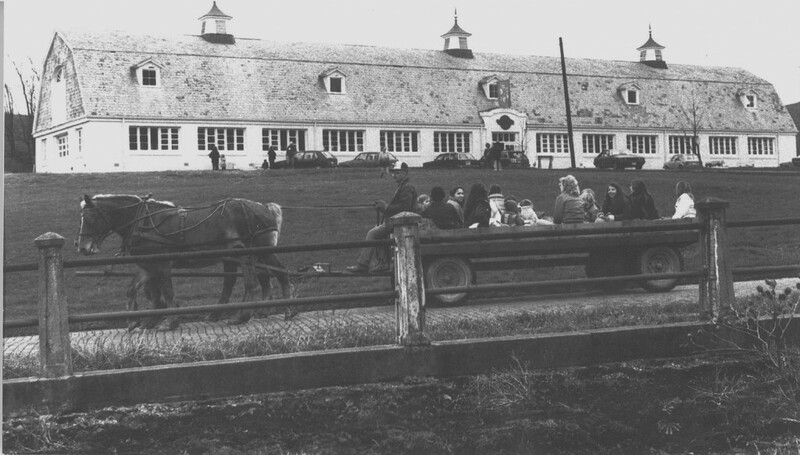 In the 1920s, Mr. Gall was instrumental in having all state institution herds in Ohio tested for tuberculosis and tested and vaccinated for brucellosis. 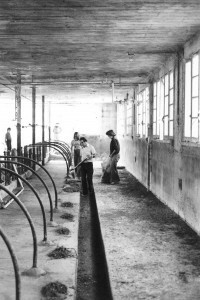 Also through his efforts, the first Ohio state institution calf produced from an artificially inseminated cow was born July 4, 1940, at the Athens State Hospital dairy farm. The dairy barn was also home to other milking champions, as well as to bulls Athens Balsam Arab, the 1955 National Reserve Grand Champion, and Colony George Heilo, a National Gold Medal sire. 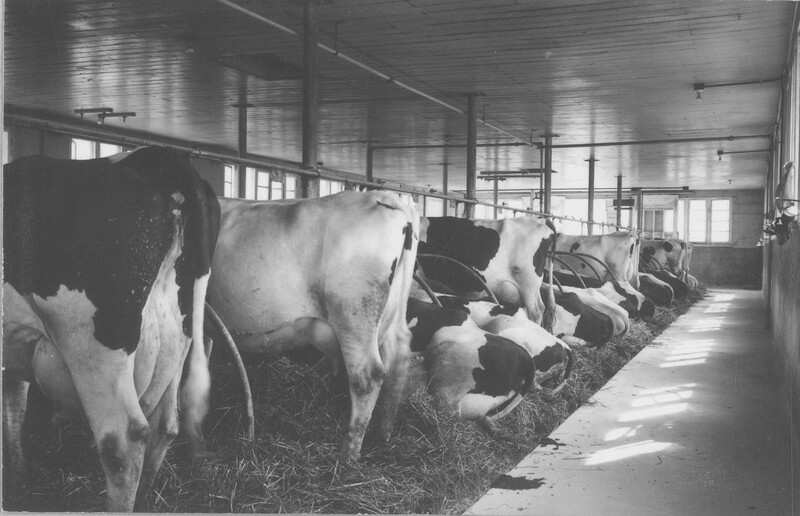 During 1965, the herd averaged 14,501 pounds of milk and 537 pounds of butterfat per cow. By 1966, the herd numbered 221 with 84 mature cows. 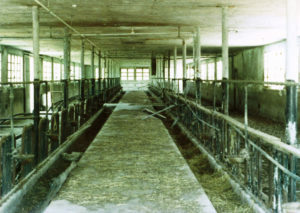 The dairy operation served institutional therapeutic and job training needs by employing patients. Until 1940, Mr. Gall and two employees worked with thirty-one patients. In addition to supplying the needs of the mental institution, which had 1,294 patients in 1905, the dairy farm supplied all the feed for the dairy, poultry, swine, and beef operations. 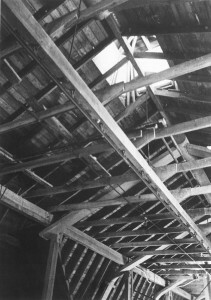 The feed was ground in the loft of the cow barn. 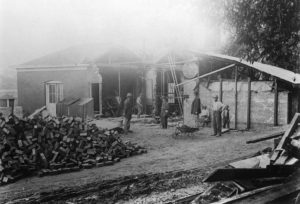 As farming practices changed and patients were no longer available as an employable labor force, production at the dairy barn tapered off. Emphasis on farm labor as a means of job training and therapy also decreased. 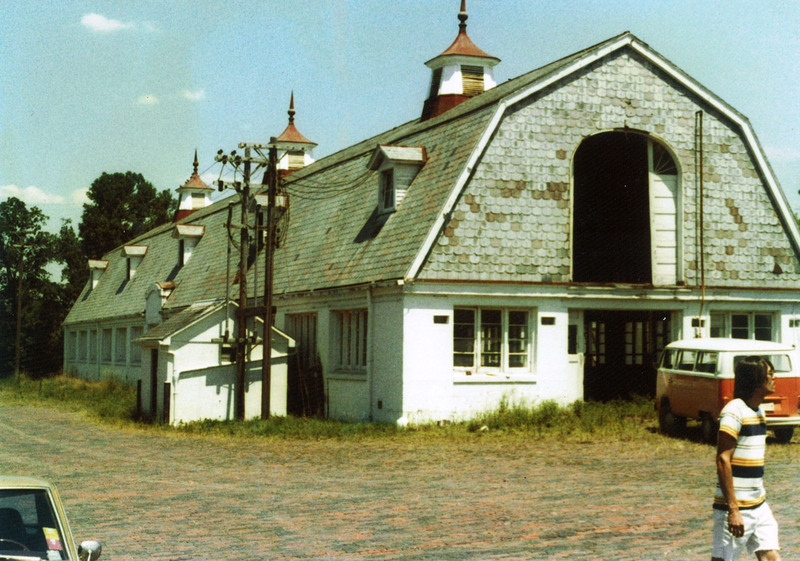 By 1977, the dairy barn, virtually unused for the past ten years, was slated to be razed along with other buildings that the Athens Mental Health and Mental Retardation Center no longer use or needed. With only nine days until demolition, the Hocking Valley Arts Council, lead by Harriet Anderson and her husband, Ora, rallied area residents and artists to create a Citizens Task Force Committee to preserve the barn and turn it into the non-profit arts center that it is today. Led by Harriet and Ora Anderson, the Hocking Valley Arts Council, artists, crafts persons, business leaders, government leaders and other concerned citizens, succeeded in saving the now 100-year-old barn. 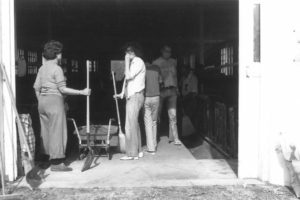 The Dairy Barn received its first funding in the form of $10,000 worth of grants from the O’Bleness Trust and the Ohio Arts Council making it possible to winterize, paint, and begin administrative duties of the arts center. 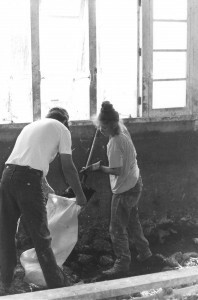 In 1978, the facility was placed on the National Register of Historic Places as the Athens State Hospital Cow Barn and the Dairy Barn Southeastern Ohio Cultural Arts Center was established as a non-profit corporation. 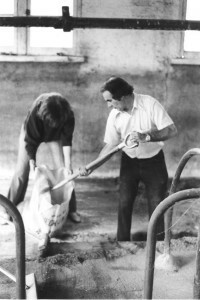 The first full scale arts exhibition was organized in the summer of 1979. 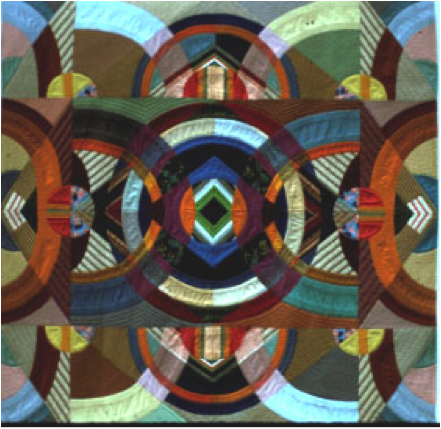 Quilt National ’79 was produced by the Dairy Barn Arts Center in collaboration with local quilt artists Nancy Crow, Francois Barnes, and Virginia Randles. Quilt National remains the largest and longest running juried exhibition of art quilts in the United States and draws entries and visitors from around the world. It is presented biennially in odd numbered years.